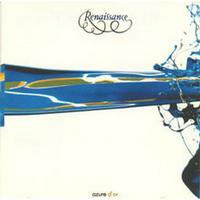 This was the first album I ever heard from Renaissance. For that reason, it has a special place in my heart. The thing is, I think it still works just as well as it ever did. It is a great folk prog set. It’s still one of my favorites and probably always will be. This comes in with some oomph, but it’s still definitely progressive rock. As the vocals join, it lends itself more to the melodic side of the prog equation. This is actually quite complex and dynamic for a shorter piece that seems accessible. It’s dramatic progressive rock with symphonic leanings. More fast moving, but melodic progressive rock, there are some melody lines built into this piece. I love layers of sound, and the magic they create, too. This has always been one of my favorites from this disc. This is a change as it has male vocals. It has a bouncy kind of symphonic element to it. It’s kind of playful. Somehow there is a bit of Beatles-like sound here. It also makes me think of musical theater. Haslam joins on vocals later in the piece, but not in a lead capacity. The cut works through some changes. It has some good vocal harmonies. It’s a little light weight and precious to me, though. It’s definitely not my favorite cut here. Now, this is my favorite song on the disc. I love pretty much everything about it. It starts with a powerful progressive rock introduction. It drops back to a piano based arrangement for the first vocals. It grows out organically from there. Haslam’s vocals are the biggest selling point here, but this song is great beyond that, too. Further down the road there is a powerhouse symphonic prog jam that just keeps building and building. As it returns to the song proper and then winds its way to the chorus, it feels like a glorious return home. The main song structure gets more power and passion as it continues from there. Then it crescendos and drops to just piano to end. Acoustic guitar opens this and the vocals join over the top. It’s intricate and quite pretty as it gradually builds outward. More elements are added to the mix as the arrangement shifts more toward a melodic prog full treatment. This is a beautiful and powerful piece. Here’s another highlight of the set. There is a percussive section that makes me think of Genesis’ Duke album at the beginning. That gives way to powered up progressive rock. This is arguably the most purely progressive rock thing here. The song is complex and diverse. It’s got plenty of shifts and changes. There are more intense rocking moments and mellower ones. It turns this way and that. The final resolution is particularly powerful. It gives way to the same percussive element that was heard at the beginning. The early parts (and others later) of this are almost more mainstream rock. They are intricate and have a lot of folk music. Still, it gets powered up with more pure melodic progressive rock, too. This is a mellower cut with a dreamy sort of texture. This is the other most “progressive cut” of the disc. It could be argued that this is the most prog of the bunch – as if that’s a distinction that needs to be made. It certainly has more shifts and changes than anything else here. It’s a killer instrumental start to finish. That start is mellow and tentative. That sections holds it for almost a minute. Then a fast paced melodic prog jam takes it. Variations occur and there are definitely world music elements here. Some of the guitar playing later makes me think of surf music. Around the three minute mark some serious prog bombast takes it. Then we’re moved out into a compelling movement from there. I love the bass line on this. It’s deceptively complex and busy. This is overall essentially a folk song. It gets its prog elements from the layers of sound over the top of the arrangement. The opening segment here has some pretty crazed prog jamming. It works out to more melodic and powerful progressive rock from there. I love some of the symphonic elements that provide a lot of magic to this piece.